From the site plan and decor displays in your leasing office to the "freezewarning" signs that you put out on chilly winter days, InstantSign can create a variety of signage that will help you run your property efficiently, safely and productively. Bold, eye-catching banners are one of the best ways to increase occupancy and promote monthly leasing specials. You may also use them to advertise features and amenities that make your property unique. Easy-to-read signage helps direct traffic and control parking. Use attractive, weather-resistant signage to spell out operational and safety policies for your pool and spa areas. InstantSign can design and coordinate your interior decor and site plan displays, including sample boards with backlit graphics. 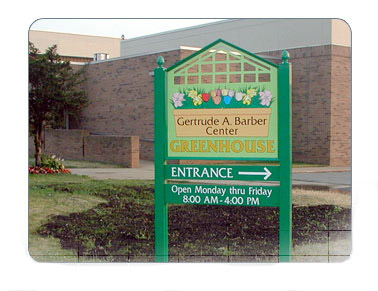 We can work with you to create signage that will help you bring your complex in to compliance with ADA regulations. Signs are a cost-effective way to point out special features in your model apartment. with a colorful yard sign. Lightweight, temporary signs along the perimeter of your property canpromote special features and attract new residents. Initiate a banner program to drive leasing activity throughout the year. To improve occupancy rates and generate interest in your property, display a new promotional banner each month. Studies show that people tend to ignore what has become familiar, but a new look, or promotional discount, may reawaken interest. Vibrant, dimensional, full color digital graphics and photos make your signs more powerful and your property more memorable.